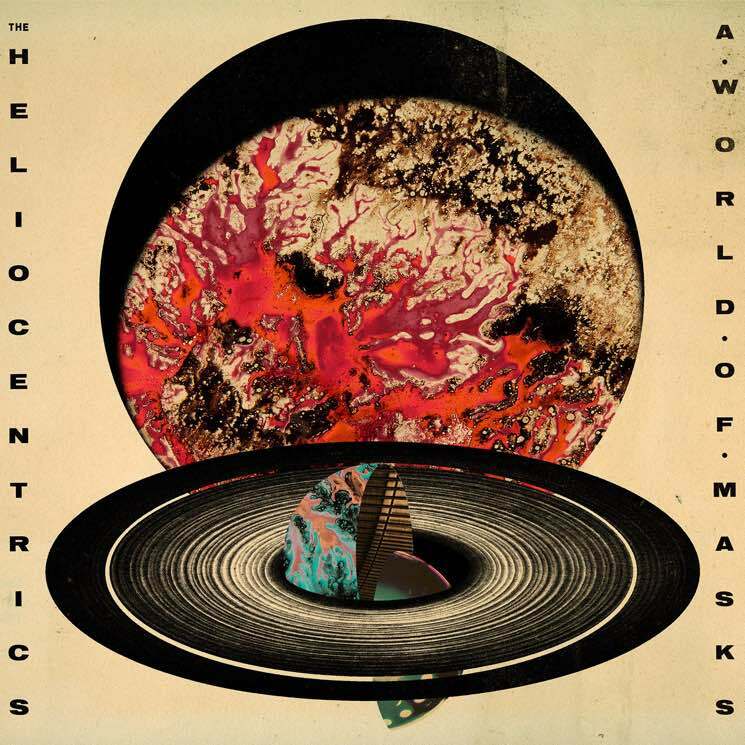 Over the past decade, London-based the Heliocentrics have collaborated with the likes of DJ Shadow, Madlib, Mulatu Astatke, Lloyd Miller, Orlando Julius and Melvin Van Peebles, all of which proved crucial to their evolution while as they dropped three thick slices of cosmic, genre-shattering fusions of psych, funk, jazz, hip-hop and obscure world influences. Though known primarily as instrumentalists, their fourth astral foray, A World of Masks, is the first to feature a lead vocalist. Slovakian singer Barbora Patkova and her audacious vocals complement the collective's fearless experimentalism nicely. The bells and electronic effects that herald the spectral opener, "Made of the Sun" segue into a slow-burning pulse that climaxes with Patkova's Amy Winehouse-influenced vocals, which shine on the spacey, Middle Eastern-flavoured meditation "Time" and the haunting "Capitol of Alone."